Simply put, the fishing is excellent. 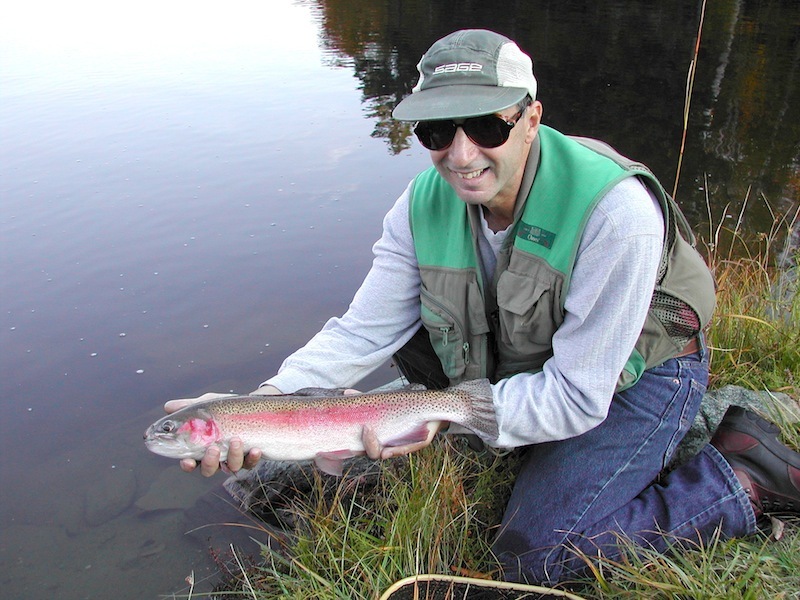 Meccawe Pond is home to approximately 800 rainbow and brook trout ranging from 5 inches up to 26 inches. We stock the pond every April. Ours is a natural pond that has been dammed and dredged to a maximum depth of about 16 feet. It has two feeder streams plus several springs that help it remain the optimum temperature for our brookies and rainbows. During most of the spring, summer, and fall fish will readily feed on the surface and can be taken by dry flies and nymphs; members, their families, and guests also have good success with lures and worms. There are eight rowboats and a dock for member use; there is also a large cleared shoreline with easy fishing access. Members are allowed to keep up to 60 fish a year. A Vermont license is not required to fish at the Club. Fishing is allowed from boats, the dock, and the shore. Members bring their own equipment, as none is available at the Club. No live bait, such as shiners, is allowed, in order to protect the ecology of the pond. Children under 12 must be accompanied by an adult in boats and the children must wear life vests (provided). If you don't know how to flyfish and want to learn, let us know. We'll be happy to get you started!